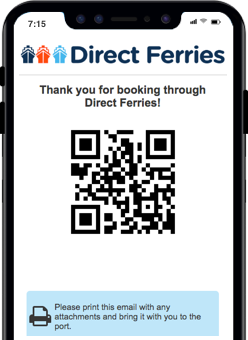 For more information, please visit our Ferries from England to Holland page. The Hull Rotterdam ferry route connects England with Holland. 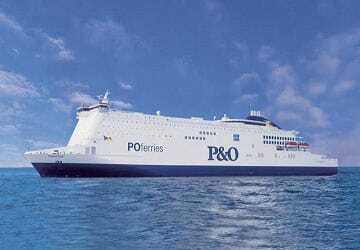 Currently there is just the 1 ferry company operating this ferry service, P&O Ferries. The crossing operates up to 7 times each week with sailing durations from around 11 hours. Hull Rotterdam sailing durations and frequency may vary from season to season so we’d advise doing a live check to get the most up to date information. Prices shown represent the average one way price paid by our customers. 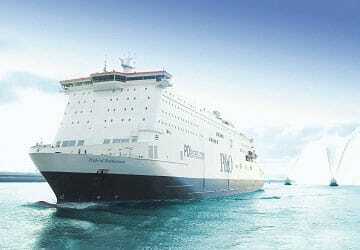 The most common booking on the Hull Rotterdam route is a car and 2 passengers. Staff were very helpful. Rooms basic but clean and comfy. No complaints. Super trip, I want more! "Enjoyable relaxing and easy going"
"No brainier if heading towards Germany "
The Hull - Rotterdam ferry is a no brainier for heading towards Germany, Luxembourg, Austria, Switzerland, Italy etc for us northerners! The English city of Hull, or Kingston upon Hull to give it its official name, is located in the ceremonial county of the East Riding of Yorkshire, in the north east of England. The city, and its port, lies on the banks of the River Hull where it meets the Humber estuary, around 40 km from the North Sea. The city's history dates back to the 12th century where the monks of Meaux Abbey needed a port in order to export the wool they gathered from their estate. The Hull of today is very different from the Hull of the past and has undergone a transformation in recent years. The city was declared the UK City of Culture for 2017. The city's cultural and sporting heritage are clear for everyone to see. In the city, visitors should visit the Old Town and Museum Quarter, Hull Marina and The Deep, which is an aquarium located at Sammy's Point. From a sporting perspective the city is home to professional football team, Hull City Football Club, and a Super League Rugby team, Hull FC Rugby Club. Ferries from the town's port depart to Rotterdam/Europort in The Netherlands, with a crossing time of between 10 and 11 hours. 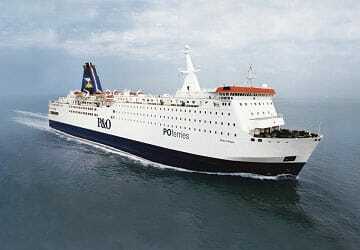 There is also a service to Zeebrugge in Belgium, with a crossing time of around 14 hours. The Dutch city of Rotterdam is the second largest city in The Netherlands, after Amsterdam, and will offer visitors a unique appearance as most of its buildings are post war after most of its buildings were damaged or destroyed during the Second World War. Recent development projects in Rotterdam have transformed the city and provided it with a new lease of life. Rotterdam has new stylish architecture to see and structures such as the Euromast, with its elevated panoramic restaurant, is definitely one not to miss. There are many cultural attractions in the city to enjoy and include the Museumpark which is where many of the city's museums are located. Also one not to miss is the Kunsthal Art Gallery which is one of the best galleries in the city, with many exhibitions held year, and is located at the southern end of the Museum Park. Also in the city is the Maritime Museum, which celebrates The Netherlands' rich maritime history and contains many interesting exhibits including some interesting models. There is also the Openlucht Binnenvaart Museum which houses a large collection of historic waterway boats and is situated close to the Mariniers Museum, on the Wijnhaven. 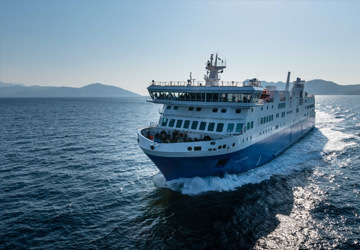 Ferry services from Rotterdam depart to Hull in the UK.